From May 30th till June 2nd 3 guitar builders will show their instruments in the refectory of the ArtEZ conservatory. They’ll happily answer every question about their guitars. Of course you can try the instruments! Since 1998 Jan Zonjee has been a professional builder of acoustic guitars with a distinguished character. He began his career as a builder of classical (concert-) guitars, but throughout the years he started to build various other instruments as well: the JM-series of steelstrings, the Mulberry cross-over guitar and the so-called Persian ukulele. Jan also gives lessons in guitar building; his students learn to build their own guitar. 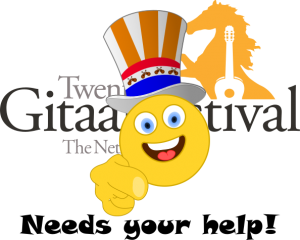 My name is Hans van Velzen, I was born and live in Tilburg, in the Netherlands. I’m an Instrumentmaker by profession, and was educated at the Leidse Instrumentmakersschool. I made my first electric guitar in 1986. Since 2004 I have been studying to become a professional luthier at the CMB in Puurs, Belgium. At the CMB the emphasis is placed on developing your skills primarily using handtools, and this is something I feel very happy about. Because of my background, I am used of working with a high degree of precision, but it is quite a step from being a mechanical engineer to becoming a maker of musical instruments. I have learned a great deal about guitar building from a few superb teachers of whom I will mention two: Jacky Walraet and Walter Verreydt. Over the coming years, I wish to continue to develop my guitar building skills. I have been working as a professional guitar builder since 2007, and in 2014, I became an officially qualified guitar builder. I have completed the steel string guitar Module, the restauration and repairs module, and the classical guitar module at the CMB. 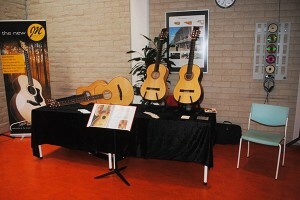 In 2011 I won the first prize at the Dutch Guitar Builders meeting. In 2014 I was awarded the golden fingerplane of the CMB in Belgium. This was a strong motivation to continue in the beautiful profession of Luthier. The coming years my focus will be on the Classical guitar in terms of guitar building. I also participate in the Leonardo Guitar Project. In May 2015 I was able to work in Italy for a month with Lorenzo Frignani on this project. In terms of sound I prefer Instruments build in the “golden era” of the Spanish guitar, roughly from 1870-1930. Major examples for me are guitars built by Antonio de Torres, Manuel Ramirez, Enrique Garcia and Santos Hernandez. I make historically correct copies of Instruments from these builders, approaching the original instruments in terms of both appearance and sound as perfect as possible. The knowledge I gain by building according the old masters, will eventually result in a model of my own signature.